Pittman is an uncontroversial pick by Florida Gov. Rick Scott. She’s a Democrat and CEO of the Clara White Mission replacing Katrina Brown in a district that’s overwhelmingly Democratic. 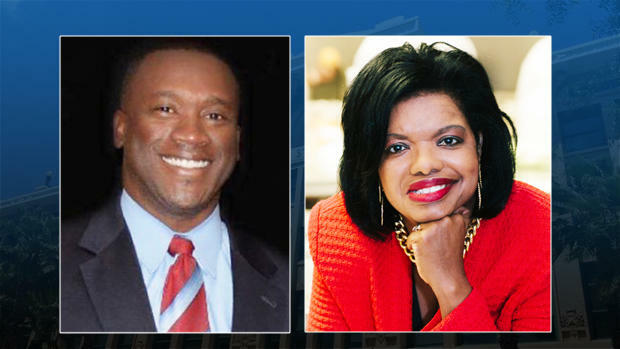 Freeman, who will replace Reggie Brown in District 10, however, is a Republican that until Tuesday lived in Mandarin. Although only 19 percent of Freeman’s new district constituents are registered Republicans, he said he’s confident he will gain their trust. “I’ll get a chance to get in front of residents to hear their top priorities and share how we can address them. I’ve worked in city hall with the city council. I know what it takes to get things done and we plan on getting things done in District 10,” he said. Incoming Jacksonville City Council members Terrance Freeman and Ju’Coby Pittman. Freeman said he intends on holding town hall meetings with voters to get a better idea of what their concerns are. Still, he said he hasn’t decided whether he would run for election next year. Freeman ran unsuccessfully to replace outgoing state Rep. Lake Ray, R-Jacksonville, in the 2016 primary. Freeman said he would’ve never thrown his name in the running for the city council seat if he didn’t think he was up to the task. Although he’s never previously lived in the district, he said he worked adjacent to it as a Principal of Student Affairs for private Christian School Eagle’s Academy. “In a previous life I was a principal at a school that is right in the far western part of district 12 — [Councilman] Doyle Carter — but students from my school live throughout that area. Some are in District 9. Some lived in District 10. Some lived in different areas. So when this opportunity arose, I reached out, just talking to some folks in the community,” he said. 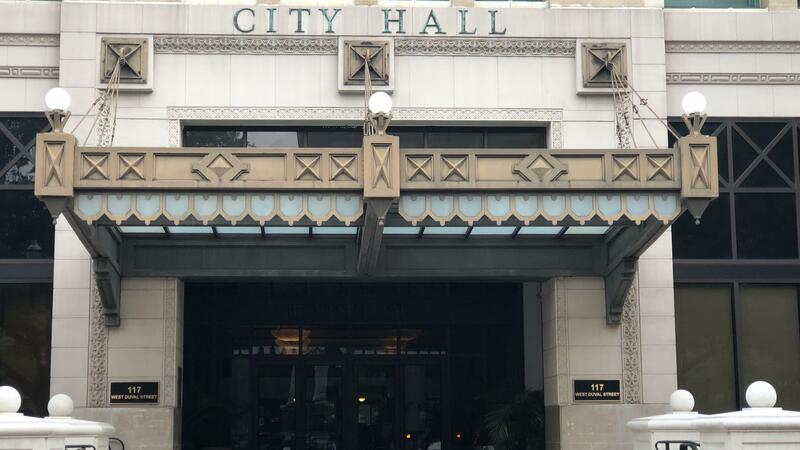 Freeman, who now works for energy efficiency consultant firm Ygrene Energy Fund, was also a council aid to Jacksonville City Council President Aaron Bowman until last year. The newly-minted Northwest Jacksonville resident said politics are less of a concern in local government. “It’s been said before, and I apologize for the cliché, but I served in city hall for two years and I know this cliché to be true now, having answered the phone and spoken with constituents. There are no Republican potholes or Democratic potholes. When residents call with a concern, it is not a concern with political affiliation,” he said. Democratic political consultant Obi Umunna is a River City native and describes his work as heavily focused on African-American districts around the state, including here in Jacksonville. He said it’ll be difficult for Freeman to endear himself to his new constituents. Umunna added he believes Freeman has time to “make inroads” with the community if he were to run to stay in the seat next year, but he thinks he would have need to show he’s independent from Republican Mayor Lenny Curry. Freeman’s predecessor wasn’t known for being a strong opponent of Curry though. He’s supported the mayor’s pension tax reform and his consolidation of crime fighting and child welfare tools Jax Journey and the Children’s Commission. 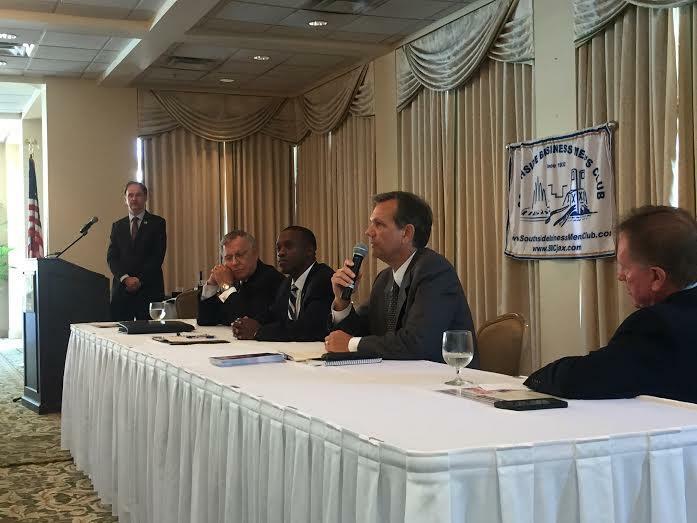 Still, Umunna said much has changed in Jacksonville politics just in the last year. “The politics in the city has become more partisan than it ever has been and so people are choosing sides,” he said. Reggie Brown and Katrina Brown were indicted on 38 federal counts in late May for an alleged scheme to frequently draw down on a Small Business Administration-backed loan.